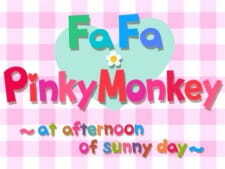 A collaboration anime between Frente International's Pinky candy mascot and Nissan Soap's Fafa laundry mascot. North American viewers may recognize Fafa under a different name "Snuggle". The mascot for the fabric softener brand owned by Sun Products.